It takes me a bit to warm up to fall, but I do love some of the style aspects! 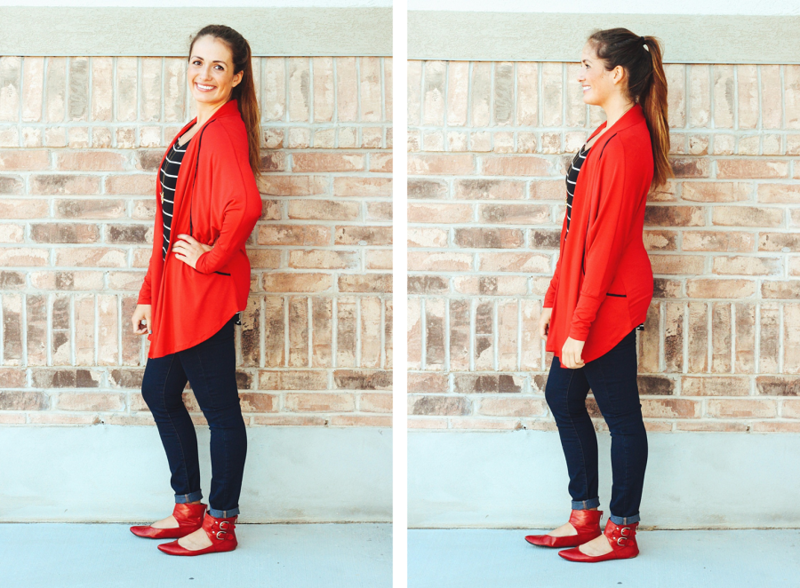 This red cardigan is really cute with the red shoes! 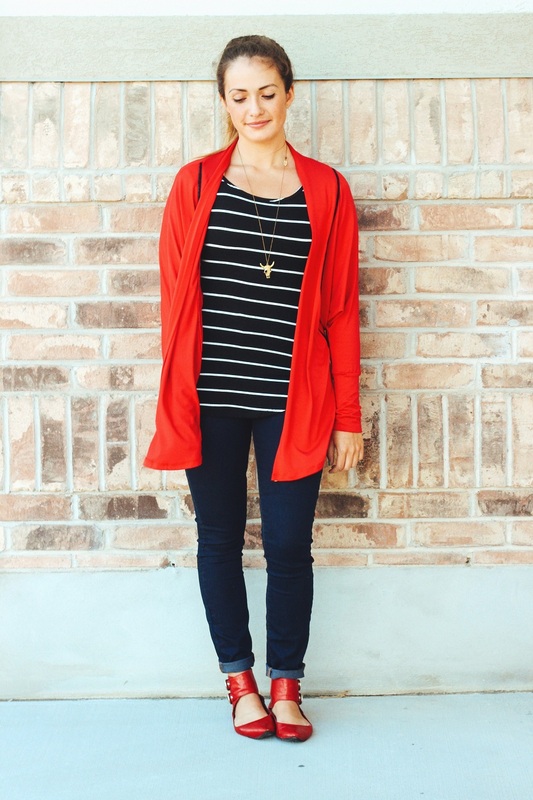 LOVE these pops of red on you! 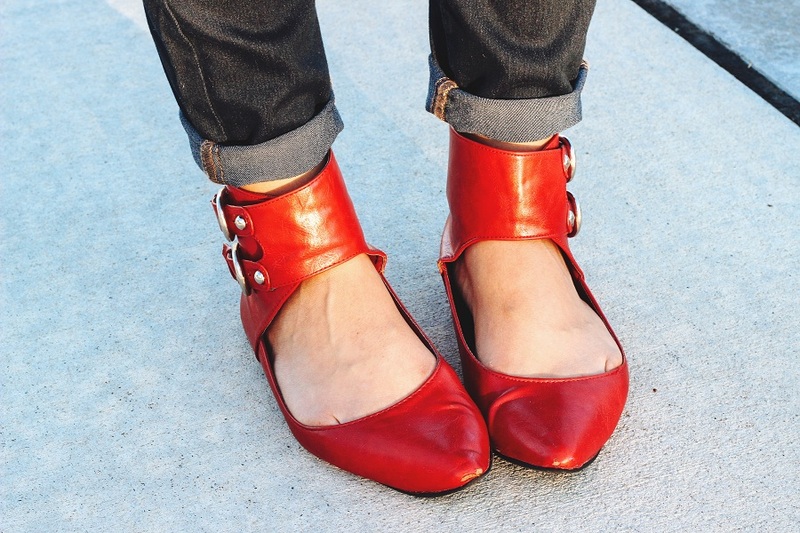 The shoes are my favorite, edgy and girly at the same time! 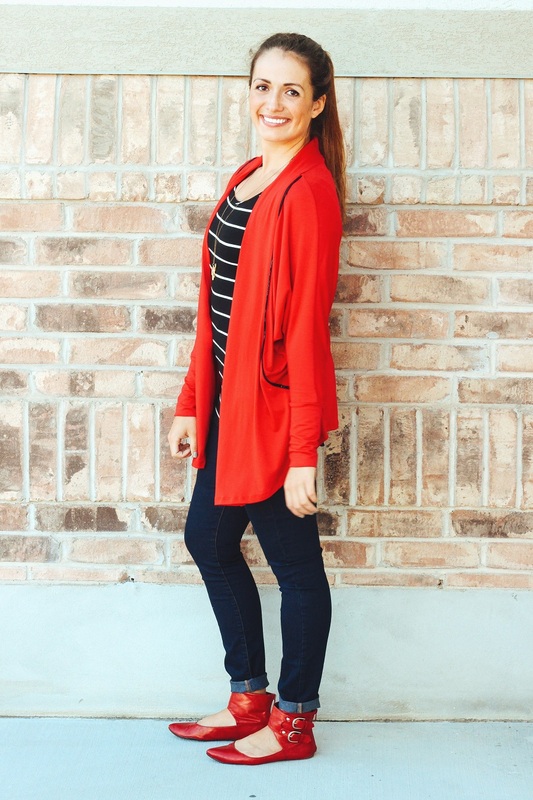 What a fabulous red cardi! and shoes! wonderful outfit! You are seriously stunning, Cecilia! Love this outfit! 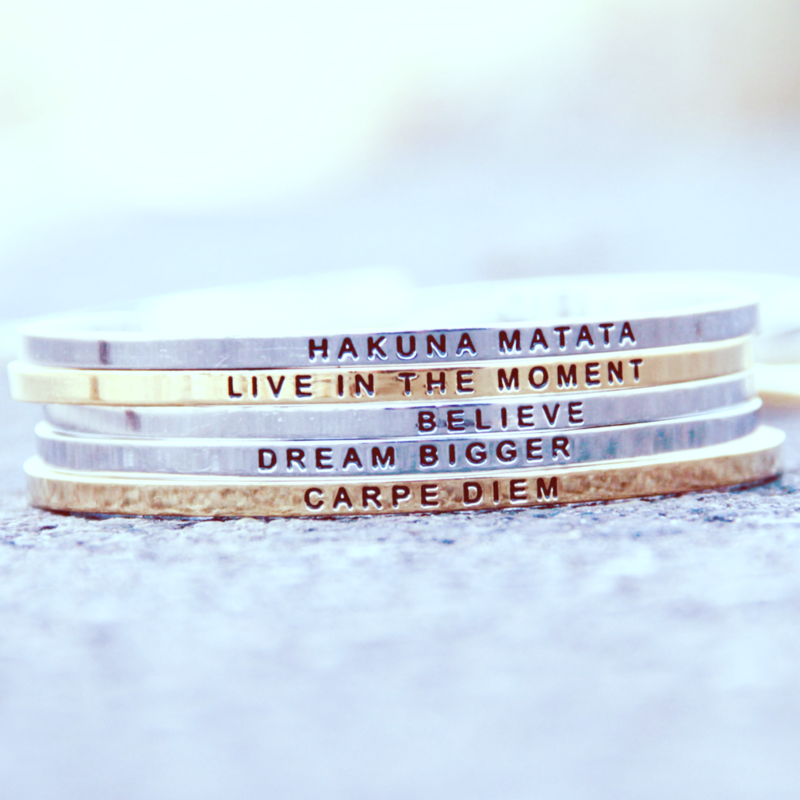 That cardigan is perfect. I seriously stress about getting dressed in the Fall/Winter time. I prefer as little clothing as possible, plus I'm "plain jane" so summer attire is perfect for me! This outfit is perfect though! Red looks stunning on you!